With charming rooms, scenic surroundings, and tasty home cooked fare, this delightful bed and breakfast is an idyllic destination. 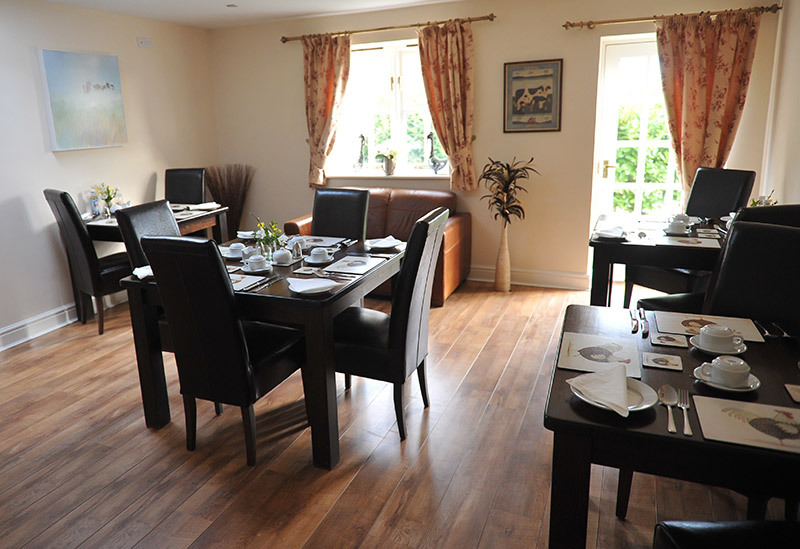 New Farm Bed and Breakfast Cheshire offers a warm and friendly welcome all year round. 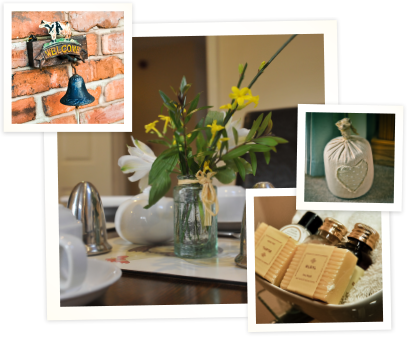 Relax in one of five comfortable, modern rooms in the character-filled converted milking parlour, before tucking into a real farmhouse breakfast made with locally sourced produce and heading out to explore the picturesque Cheshire Plains. 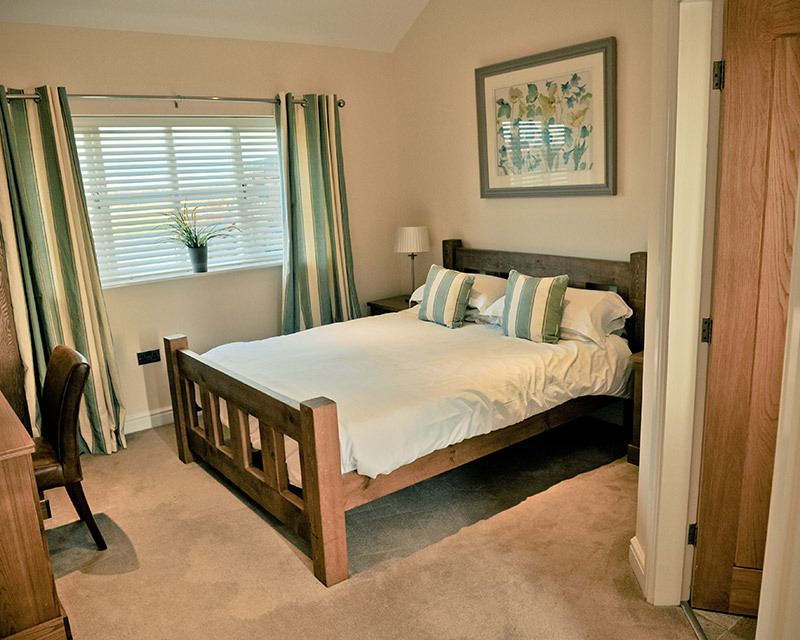 Our lovely farm bed and breakfast has a choice of single,twin or king size double beds, and all rooms have smart en suites complete with power shower. The family suite has a bathroom. So if your looking for a place to rest and relax please call or book online and stay with us in our Tarporley B&B . Please Note: Stays of one night will incur a supplement charge of £5 per room. The first night’s payment is required as deposit. In the event that you need to cancel seven days or less prior to your arrival date, you will be charged 80 per cent of the total cost. The deposit is non refundable upon cancellation. Please ensure that you have travel insurance to cover your losses if cancellation is due to an insured event beyond your control, resulting in a financial loss. 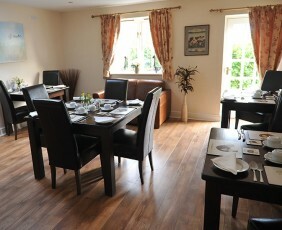 Arrival times for the B&B is strictly between 1.30pm until 8.00pm Sunday – Friday. Saturdays 1.30pm – 5.00pm If you are expecting to arrive outside of these hours please call ahead before booking so we can be sure someone is available to greet you as New Farm is a very small family run establishment. Failure to arrive within these hours will result in the room being cancelled if no prior arrangement has been made. All bookings must be paid in full either prior to or upon arrival. Upon arrival please drive up to the barrier and press the call button for assistance which is to the right of you. For your peace of mind we have installed CCTV cameras and an entry barrier for the car park which you will need a key fob to operate, this will be given to you when you arrive. New Farm B&B has disabled access facilities. Please contact us if you have any special requests, we will do our upmost to fulfil your needs. If needing a taxi please book taxi’s early to avoid disappointment . We found the Tarporley B&B via a link from the Oulton Park Racing Circuit website as we were down in Cheshire as my husband was racing the next day. When we checked in we were met by Mark, who was welcoming and friendly. 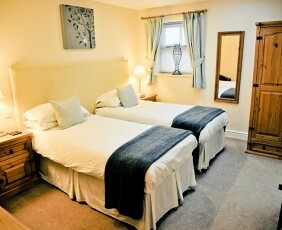 We were delighted with our room which was lovely and clean and comfortable. We ate locally, and as the weather was so lovely we had a walk around the fishing lakes before retiring. We slept very well, and Mark had a lovely breakfast ready for 7:30 as the racing had an early start. Standard and cleanliness of room. Where the B&B is located, very peaceful and a lovely place. Slept well as bed very comfortable, and quiet location. Mark very helpful and friendly. Thank you for a wonderful stay. 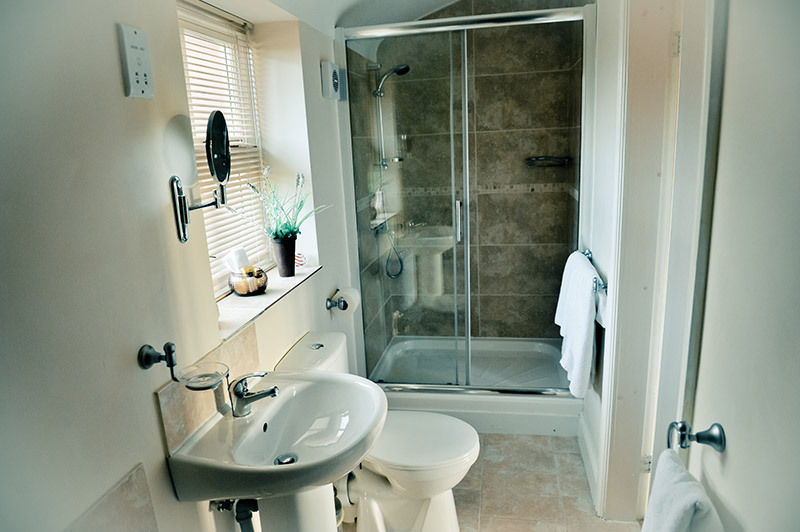 The B and B was spotless and everything we would want for in holiday accommodation, it is set in such a tranquil place which is very relaxing. 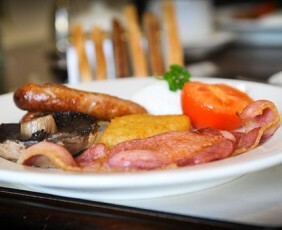 The breakfast was excellent and it was lovely that the food was locally sourced, of such a high standard. Hospitality was great, it was lovely to find out the history behind New farm. We look forward to returning. We would just like to say thank you so much for the wonderful stay we had at New Farm B&B. Everything was wonderful. We couldn’t have asked for anything better! You made us feel very welcomed and relaxed. 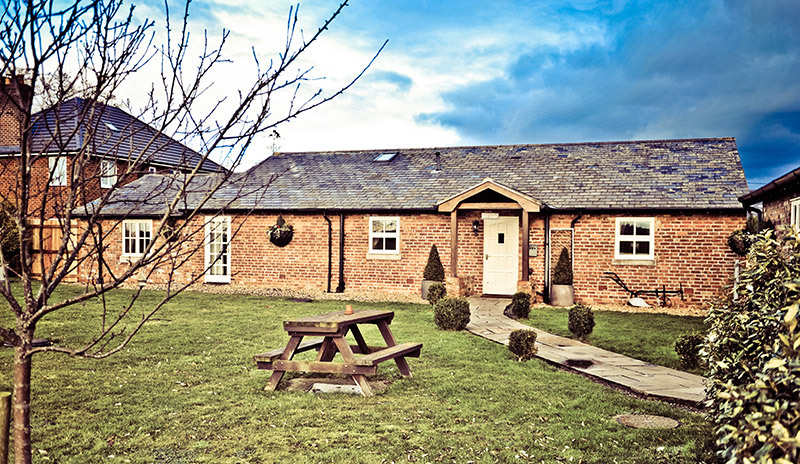 It is in a peaceful and idyllic setting, great for a nice relaxing weekend away. The room was immaculate and very cared for, nothing was missed. Breakfast in the morning was perfect! I have already recommend people to stay. We will definitely be back when we are in the area again. We needed somewhere to stay for a local wedding and the Tarporley B&B was perfect. We were made to feel very welcome, the rooms were immaculate and stylish and we were treated to an excellent breakfast. Also the B &B is in a peaceful location with secure parking. I would recommend anyone to stay here, we were very impressed. It is a pleasure to perhaps be the first testimonial for 2011. New Farm is a gem of a stay, peaceful, well kept and most comfortable with an excellent breakfast. I have traveled and stayed the world and New Farm beats other establishments hands down even the one that Lenny Henry supports! As I said on leaving being over six feet tall what matters to me is the bed – Superb, The Shower – excellent, and large bath towels a must. The breakfast was a great way to start the day. We will recommend and stay again when in the area – thank you and wish you a good 2011 season. I stayed here at the New farm B&B as i was attending a wedding the following day, staff were lovely, very impressed with the room, it was immaculate, no expense has been spared as everything ie bedding, furniture, tv, etc was 1st class, well worth the money. Would recommend to any one traveling alone or as a couple. Delightful. Peaceful. Restful. Lovely views, great bird life. Friendly and helpful . Immaculate. Very well presented run and organised Easy reach of lots of places. Definitely recommend and would stay again -a real find! We had a really lovely stay – everything was done to a very high quality (huge comfy bed, powerful shower and great breakfast) and everyone was very welcoming. Like a normal B&B but just better! This is a real find and the hospitality was really up with the best. Try it you will see what I mean. Friendly welcome, nothing too much trouble. Excellent modern, comfortable accommodation. Mark made us very welcome right from the moment we arrived. Our spacious room was bright, clean and modern with a very comfortable king size bed. 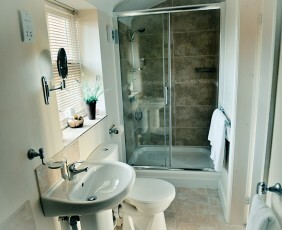 The en suite had a large shower cubicle with power shower. The breakfast room had large tables, even for two, and very comfortable padded chairs. Breakfast was excellent – freshly cooked to order with local produce. Extra coffee and toast was offered without having to ask. The peaceful location was easy to find and we thoroughly enjoyed our stay. We look forward to returning often. Excellent B&B very friendly, amazing room good, very good quality breakfast. much better than most hotels more than twice the price. 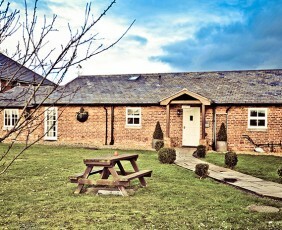 Could not recommend the place enough, will be staying there next time in the area. Very very pleasant, clean and well presented place to stay in lovely surroundings. Will use this place from now on instead of our usual place. We recently stayed at this hotel and would highly recommend others to stay here. 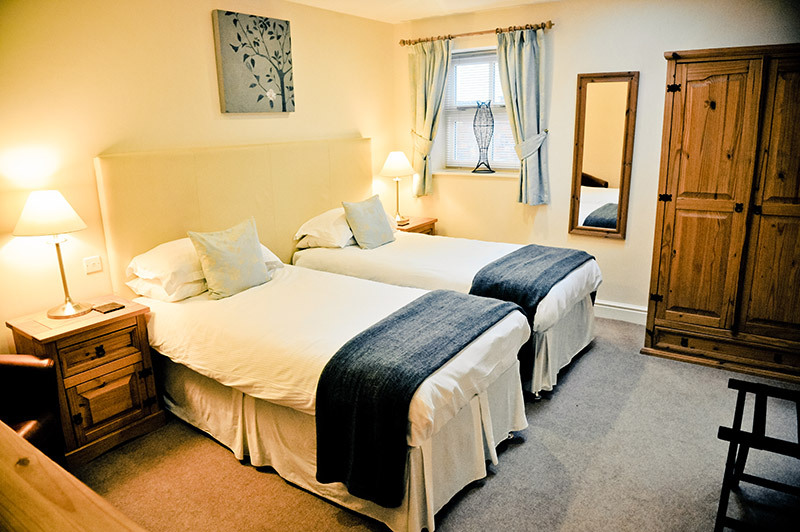 The accommodation is well very run the rooms are spotless and extremely comfortable. The breakfast area is very well laid out and again, spotless. The food is all freshly prepared and locally sourced. However, the outstanding quality of this hotel is the customer service, which is both welcoming and efficient. We would have no hesitation in returning to New farm especially as the owner is considering also providing stabling for horses in the future. Wow! We’ll be coming back again, and again, and again! What a beautiful place to stay. The images on the site are nice, but you’ll be even more pleased if you go. Modern, clean, simplistic (not your usual cluttered B&B’s), yet no expense spared. Mark was very welcoming, helpful and hospitable. We will definitely come again, and we also took a few brochures to give to close family. This is a real gem, and we felt so at home, we didn’t want to leave. As someone who has spent on average 150 nights a year in hotels and guest houses around the world for the past 15 years I write this with some authority. I rarely bother to write reviews but New Farm BB is one of those places you discover so very rarely and for that reason I am doing so. What makes the place so special, apart from lovely accommodation, glorious countryside, own fully stocked fishing lake and attention to detail is the attitude of the staff and, in particular, the owner Mark. In the morning prior to my arrival I had a call to check what time I would arrive in order that someone would be there to meet me (remember, this is a guest house not a hotel). I turned up and sure enough a warm smiling greeting awaited and I was shown to my room. The room was spacious, well appointed and spotlessly clean, better than many hotel rooms I have stayed in including some 4/5* hotels I can think of. One thing v important to me is broadband access. This was free but not reliable and only available in the dining room. Mentioned it to Mark and the following day a new wireless repeated had been installed and I had a perfect connection in my room. Mentioned to Mark that a clock in the bedroom would be useful, next day one appeared for my use. Mentioned a potential problem with the fire exit, next day it was resolved. I half expected that if I mentioned the lack of a swimming pool I would have come back to find a digger out building one!! The breakfast was superb. Wanted more toast the first morning, did not need to ask the 2nd. On your final morning if Mark is not there to open it it takes 10 seconds to use the room key and return it to the building. There is always someone around in the morning, if you need something and they are not instantly there (this is a guest house not a hotel remember) a quick call elicits a response. As for it being expensive, absolute rubbish, you get what you pay for and this was VERY good value. Probably the best independent B & B I have ever stayed in.” 눉There was nothing to improve. The needs of visitors had been well anticipated and the whole visit lacked nothing. 눇The accommodation was very very clean, the beds were very comfortable as were the pillows (very important). The staff were extra helpful and the food hot and plentiful. The whole appearance of the property was impeccable. I cannot recommend New Farm highly enough. Rural stay in excellent location The owner was very welcoming and helpful. He recommended an evening meal at the Dysart Arms in Bunbury (about 4 miles away). The pub was a charming old-world building and the food was fabulous and very reasonably priced. Breakfast at New Farm was also fabulous. I would be very happy to return. Very peaceful, clean & comfy. Breakfast was excellent and all in all it was great value for money. Thoroughly recommended. How to find us... New Farm Cheshire is situated in the North West of England close to the historical city of Chester and the border with North Wales. The road network in the area is excellent making it very easy to reach ourselves and the numerous towns and cities in the vicinity.